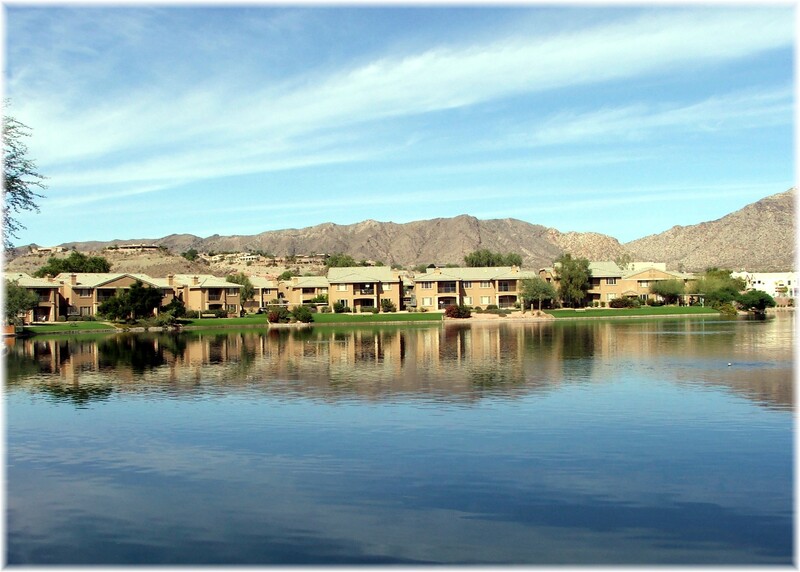 Just 5 miles west of the I-10 Interstate is a 6 acre lake set back in the Ahwatukee Foothills and surrounded by three waterfront communities; Toscano Lakeside, San Simeon Condos, and Miralago at the Foothills. 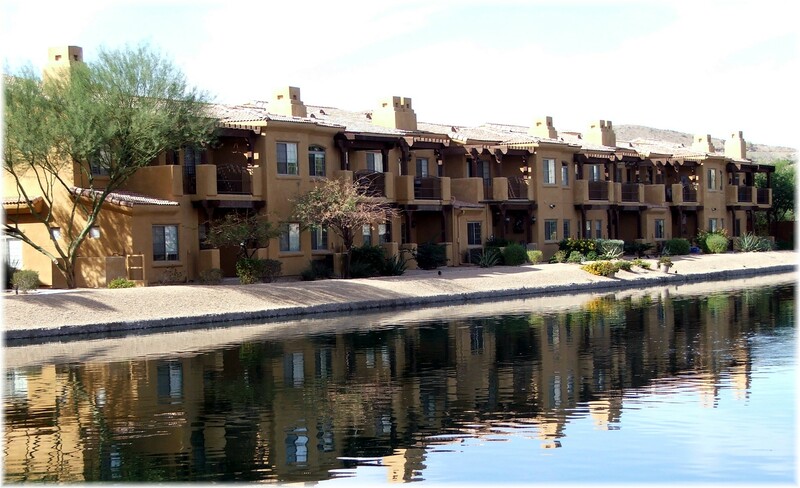 These communities are within walking distance of Desert Foothills Park and the Foothills Golf Club, and just over a mile east of Club West Golf Club. Less than a mile to the south is Pecos Road which offers great accessibility to the 202 and I-10. They are found within the highly rated Kyrene Elementary School District and Tempe Union High School District boundaries. 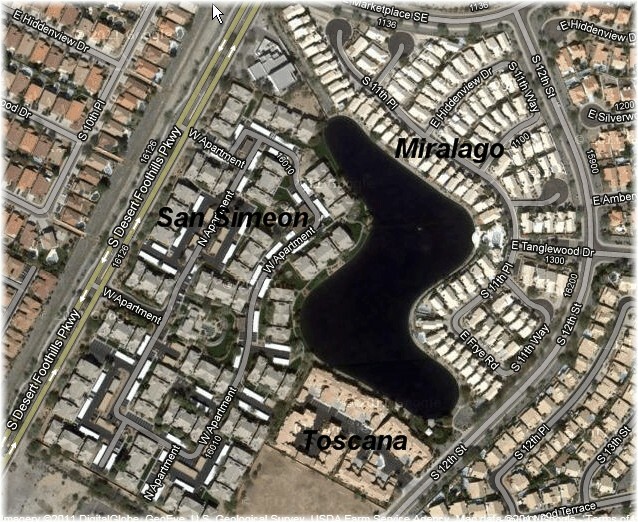 Of the 104 single family homes found at Miralago at the Foothills, 30 are waterfront homes. They were built between 1990 – 1995, and this gated lakeside community includes a heated community pool and spa which overlook the lake. There is also a community center with a a fitness room. Lot sizes typically range in size from 3,000 to 6,000 sq.ft. 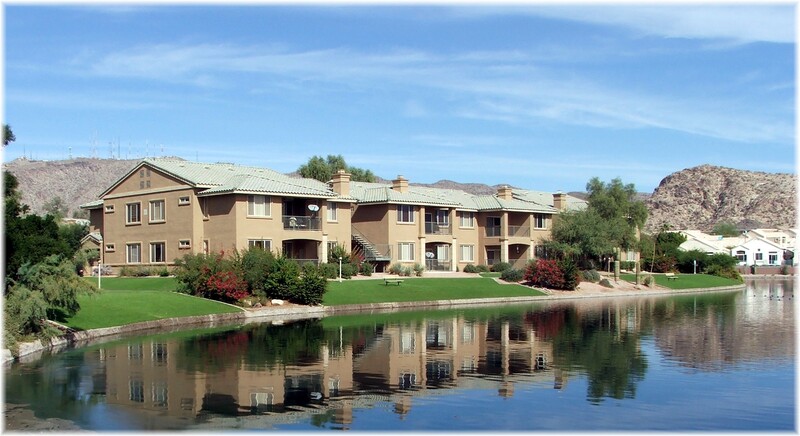 Toscana Lakeside Condos are found on the south side of the lake and include 63 units. Toscana is a newer development, built between 2003 – 2005, by Valhalla Homes. This gated community includes a small community pool. San Simeon Condos number at 352 units, located on the west side of the lake, built between 1997 – 1999. The community center includes a social area, a fitness room and a nicely landscaped community pool and spa area. 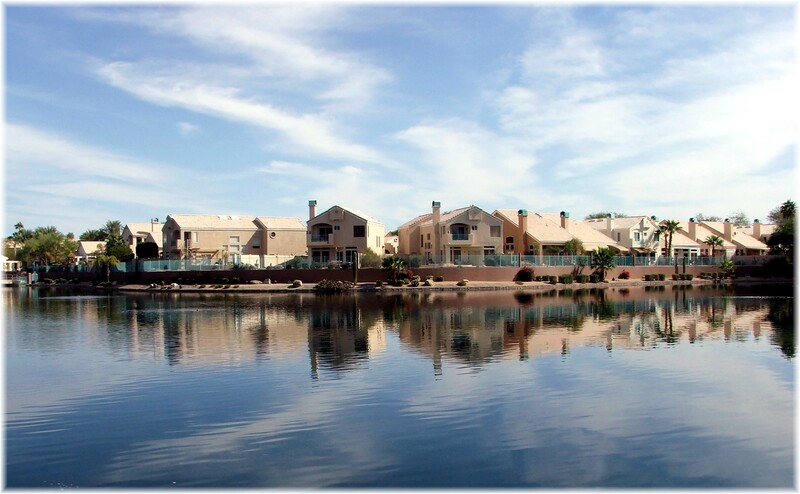 These lakefront communities represent a unique combination of waterfront and foothill views, something that will be hard to duplicate in many parts of the valley. If you’re looking for waterfront communities and want to receive available properties as they come on the market, click on receive waterfront listings. 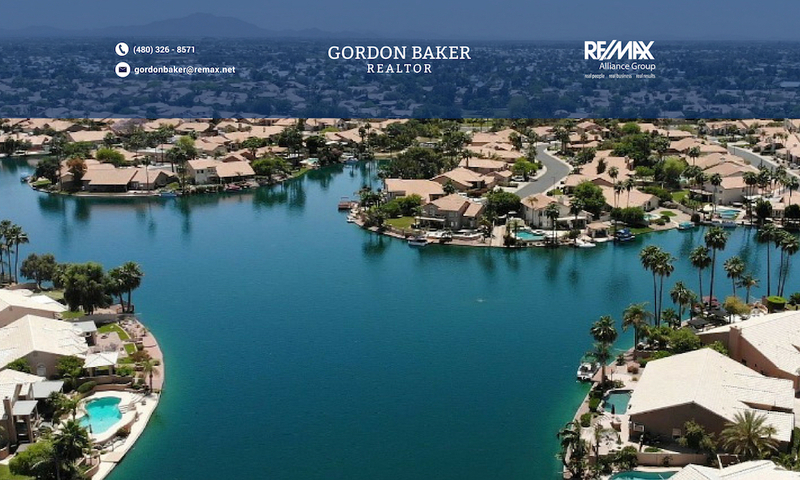 Updated lakefront home in Ahwatukee Foothills. 2 bedrooms (plus loft), 2.5 baths. Maple cabinets, solid surface countertops, 18 inch diagonal tile, neutral warm paint colors, carpeting, and wood blinds. Two master bedrooms; downstairs has vaulted ceiling and lake view, garden tub and walk in closet. Patio with lake view and sunsets is surrounded by low maintenance desert landscaping. Quiet, gated community with pool/spa, clubhouse, and walking path along the lake. Close to shopping, schools, and parks. Pecos Road soon to be the South Mountain Freeway provides quick access to both I-10 and 101. Refrigerator, washer and dryer convey Owner is an Arizona licensed Real Estate Broker.